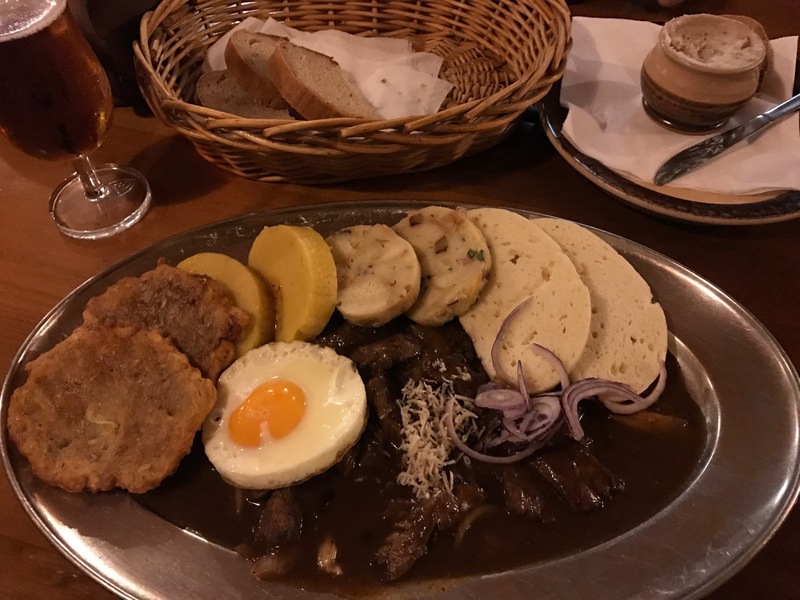 We’ve arrived in Prague and as always, you can read exactly how our day started over on the travel blog. Our first stop of business was of course lunch, we found this super cute lunch stop a bus away from our AirBnb, called Sisters. Firstly, let’s talk about their money currency, if you’ve ever been to Prague, then you’ll know what I’m talking about. 55 CZK is equivalent to about £1.80 but how confusing is that right? Anyway, most things seem so cheap around here but we shall see! Anyway, back to the food, their open sandwiches were so pretty, and tasted just as good as they looked. We agreed to get 4 different ones; avocado and prawns, some with egg, and some meat, and share each one between us and paired it with their homemade fresh pink lemonade. It came in little glass bottles that we were able to take away with us too. 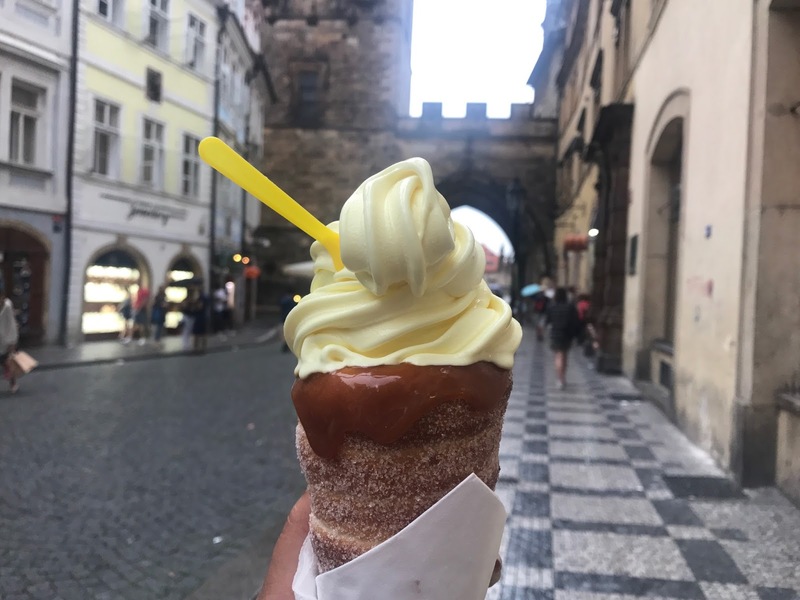 While walking to our next destination, we kept passing these bakeries seeing those famous Czech Ice Cream Cones and when Jessica wants something, Jessica gets. James did question my choice as we hadn’t had dinner yet, but we’re on holiday and anything goes, right? We opted to get just the one and share, and luckily we did because I sure wouldn’t have finished that one all on my own. With caramel inside, filled with ice cream all the way through – absolute heaven. We’ll be sure to come back for just the open inside ones with just a sauce throughout our stay here for sure. 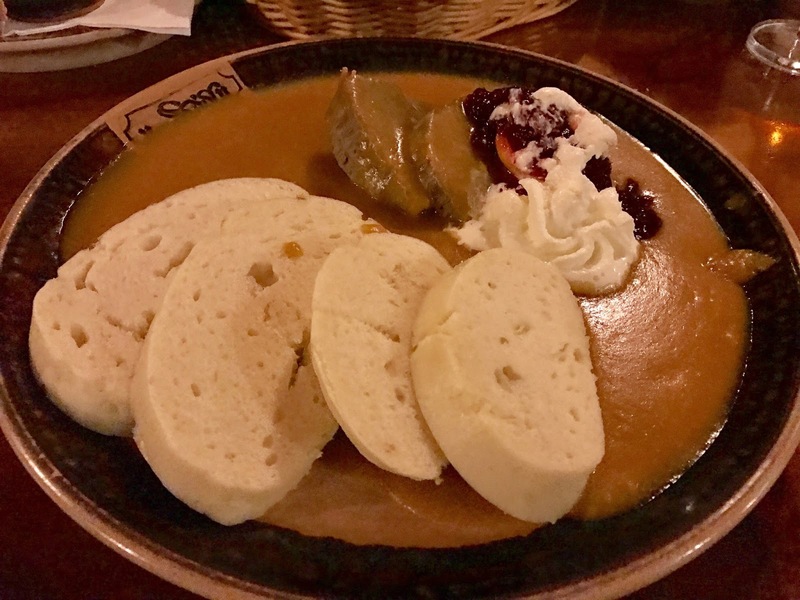 As we’ve done in every country so far, we had to make sure we’ve had their known cuisine and here in Prague, it was goulash. With a failed attempted at one restaurant which ended up being closed early, we found another place, which to us seem more authentic. With a beer costing us about £1 we got ourselves one each to go with our main dishes, James’ beef goulash and my Budweiser goulash. I couldn’t exactly tell you everything on that plate as the sides around it were very different, the texture especially, which is a big thing for me. Regardless, both were full of flavour and had so much to it, I couldn’t even finish my own. It had been a chilled first day here in Prague and we can’t wait for our food tour tomorrow! You had me at donut ice cream, never heard of it before but now I need it in my life! How could any one ever resist. Sounds great! Hope you're having a lovely time there!I had similar difficulties with currency when I recently travelled to Hungary, it can be difficult to get used too!! That food looks amazing, your photos make me so hungry!! That ice cream looks delicious! Oh my gaaad, more food envy! The ice cream looks amazing, and it sounds so great how cheap everything is!